(Lanka e News -05.July.2018, 11.30PM) The Sri Lanka chapter of the South Asian Free Media Association is very concerned about the targeting by politicians of two Sri Lankan journalists involved in internationally reporting on Sri Lankan issues published recently in the New York Times newspaper of the USA. We are concerned that, due to this individual targeting, the professional sights of these journalists have been violated. We are also concerned that the targeting is being done by senior leaders of a political group that, when it was last in governmental power, presided over a regime that saw the collective intimidation and repression of the news media industry of by extreme violence. Singling out and publicly targeting individual professionals for the work they perform for an employer, in this case, an internationally published newspaper, is only valid if those individuals at least appeared to have seriously violated the country’s laws in any manner. In the case of the detailed news report published by the ‘New York Times’ newspaper of the USA, headlined ‘How China got Sri Lanka to cough up a port’ on June 25, 2018, the two Sri Lankan journalists concerned were the local support reporters for the American journalist team belonging to the ‘New York Times’. 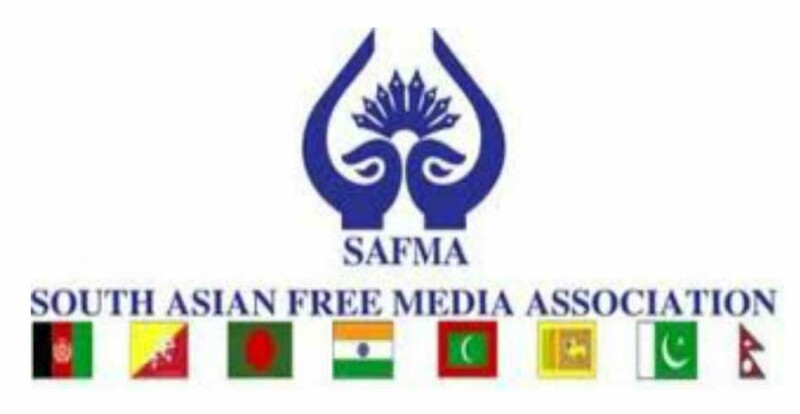 As an organisation of socially concerned journalists, SAFMA-SL upholds the right of anyone to respond to any news publication in terms of public criticism of the published item or even its publisher. In terms of the law as well as professional practice, both locally and internationally, the responsibility for publication of any news product is held by the publisher and not the employee professionals concerned. Individual professionals are singly targeted for investigation only if there is a violation of law by the publisher that is formally considered by the authorities as serious enough to investigate and prosecute all the personnel seen as complicit. In the case of the said news report, so far, no legal authorities, either Sri Lankan or American, have thought fit to raise issues of wrong-doing, certainly not of an urgent nature that has immediate social repercussions. The public naming of these two journalists last week remarkably echoed that period of repression and the behaviour of politicians that heralded such massive rights violations and violence. The fact that this political criticism has sparked off a wave of similar or even worse criticism of these two individual professionals via internet social media is indicative of an attempt to intimidate Sri Lanka’s news professional community as a whole.